Alliums, appearing in early summer, are the beloved darlings of every Chelsea Flower Show in recent memory, and with good reason! They are elegant, colourful and provide a wonderful contrast of form in mixed herbaceous borders. 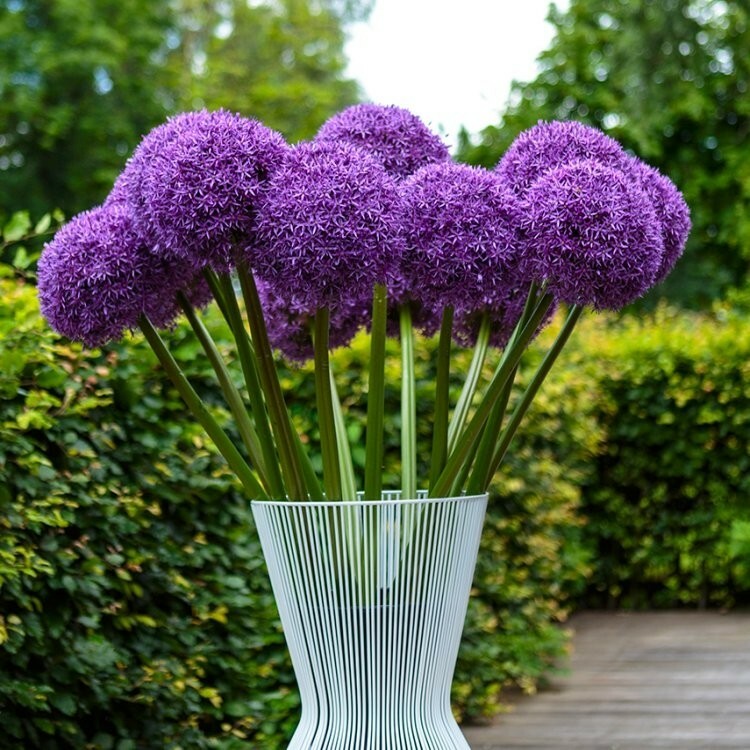 Globemaster is a spectacular form of giant mauve globe allium that follows on from Allium hollandicum 'Purple Sensation' in its flowering season, getting bigger and better every year. 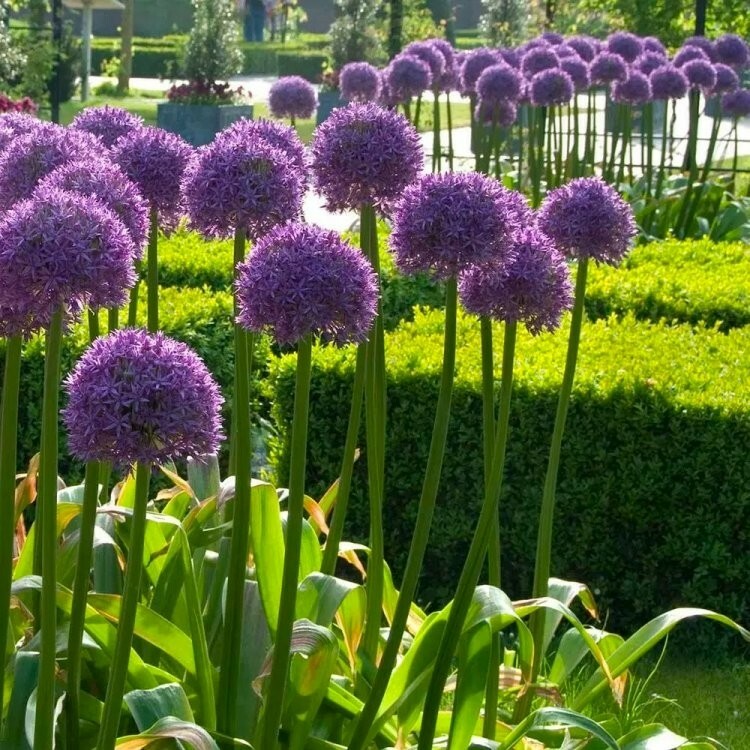 Alliums such as Globe Master are also suited to modern plantings as well as the more traditional, the deep colour adds depth to many schemes. 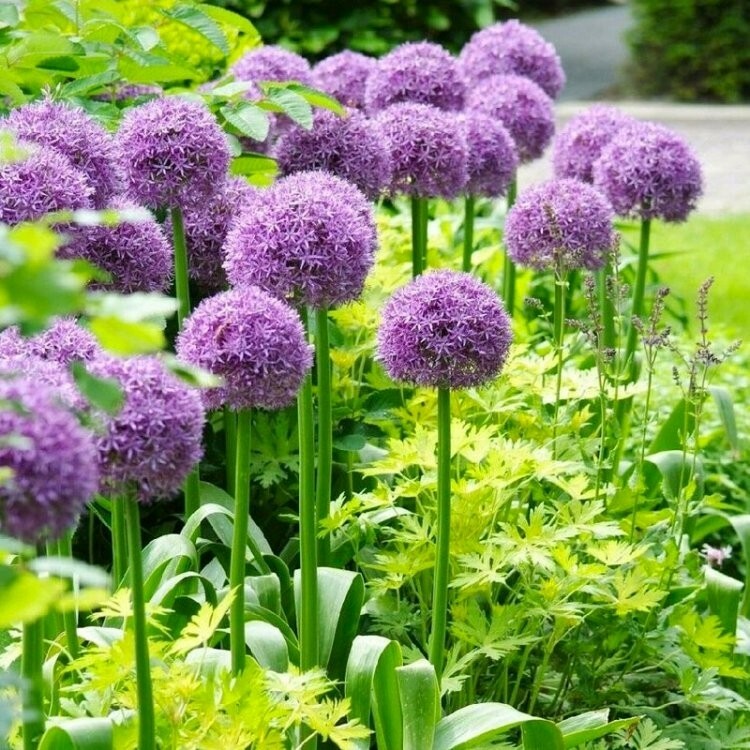 Alliums will also hold attention long after they have faded with their structural seed heads. How about cutting a few in full bloom or when the heads have faded for dramatic floral arrangements? Allium Globemaster is one of the best for adding variety of form and colour to borders and mixed beds, with metallic-purple blooms from mid-May onwards, the large spherical balls of blooms, which can grow up to 15cms across, appear atop of sturdy 80cm tall stalks that soar up from a base of broad-leaved foliage. Each flower head is made up of numerous star-shaped violet flowers. Globe Master will look great in pots and planters, but can also be used to great effect in garden beds and borders in drifts or groups, soaring above the foliage of lower growing plants when in full bloom.